Tom Sheppard, Chief Park Naturalist doing workshops for Holland School , in turn, Dr. Nancy Yard will provide anti-bullying training for Camp Counselors. Duke Estates hosted a training workshop at Musconetcong Gorge, in turn, Laura Bush, Naturalist attended for free for use of our park. Sourlands Conservancy hosted a night walk at Sourland Mtn. Preserve, Tom Sheppard, Chief Park Naturalist, attended for free for use of our park. NJWA conducted a stream study for Earth Day, parks monitor and care for Crystal Springs. Master Gardeners hosted a Hypertufa class for parks in order to keep their Master Gardener status. Co-Sponsored World Music Day on Oct. 1 and Jazzfest on Sept. 16th at Deer Path Park. All Hunterdon municipalities that were not members of the Hunterdon County Cooperative Purchasing program were contacted and are now members. The following are the contracts that were made available to the cooperative members for the year 2016. 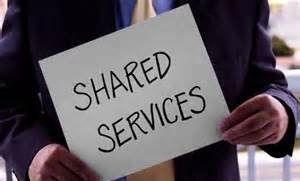 In addition, the Information Services Division continued to provide the following shared services for Municipalities. Posters Up To 12" X 18"